How Can I Manually Mark A Proposal/Contract As Approved? First up you will need to have created your Proposal, Contract or Proposal & Contract with AND CO and sent it to your client for review and approval. 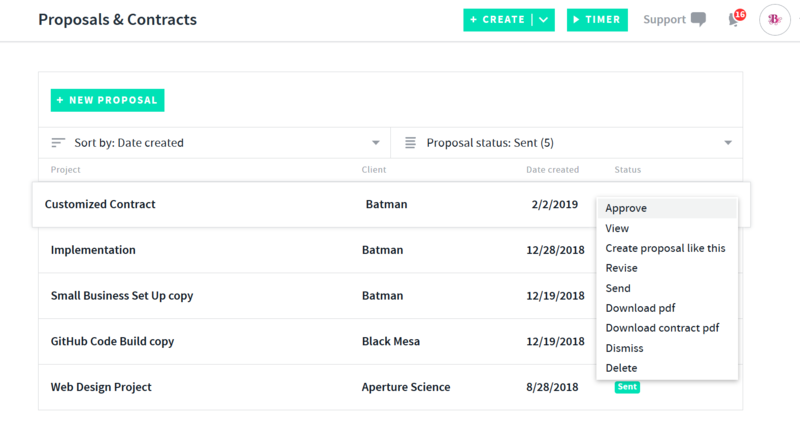 Select the option to Approve the proposal/contract. 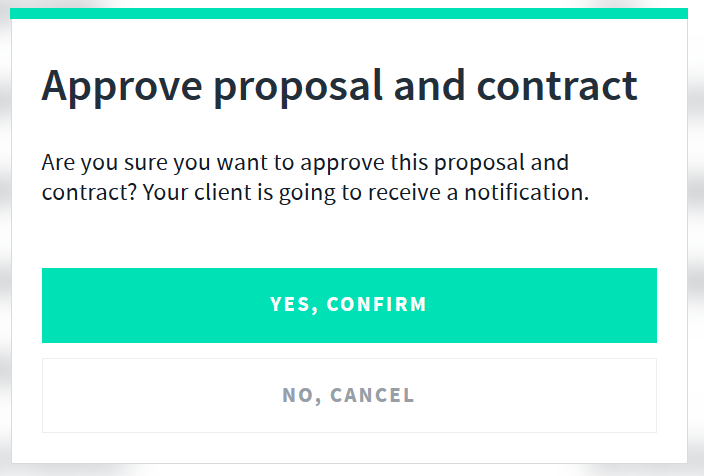 A pop up will appear asking to confirm you would like to manually approve the proposal/contract. Please note that once you select to manually approve the proposal/contract your client will also be notified via email confirming that the proposal/contract has been approved. Once confirmed and approved you will notice the proposal/contract update to a approved status. You will also receive a in app bot notification advising you that the proposal/contract has been approved. A Project will also be auto created for you in the app and you can view this via the projects tab. 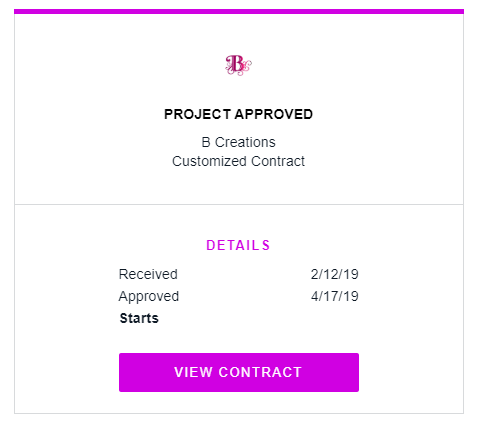 Your client will also be emailed a confirmation that the proposal/contract was approved with a link to review the proposal/contract and a pdf attachment of the contract. 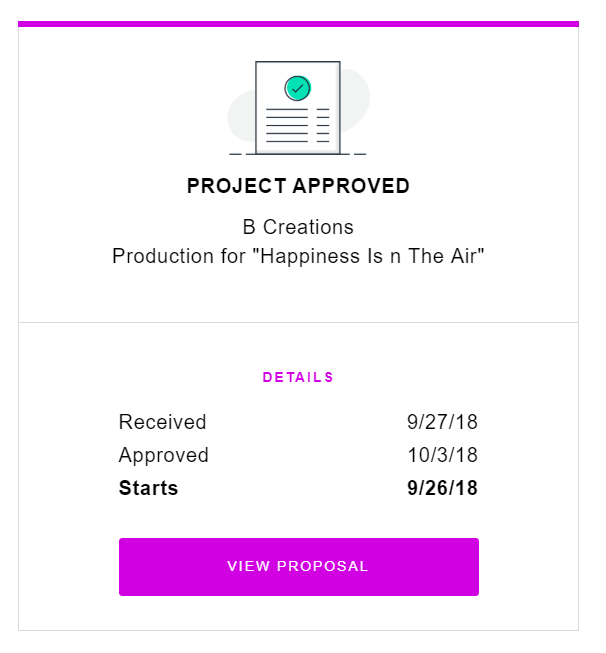 The email subject will be the "project name", approved from "business name"
The contract will also be attached as a pdf for the ability to download. You will receive a notification email advising your the proposal/contract was approved as well and it is good to keep a record of these in your email/folder.